Disposable outdoor fly trapping system for use in any location with a high fly population. 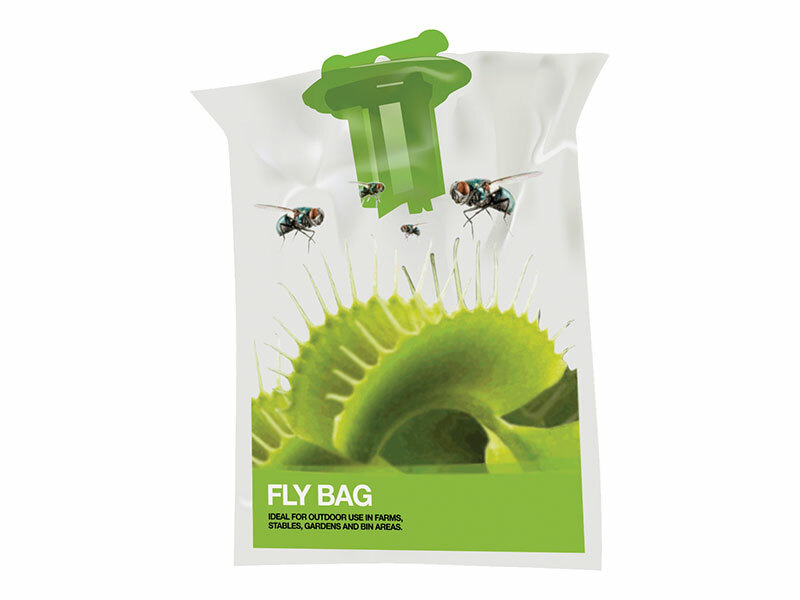 Water soluble fly bait is contained within the bag - just add water! Highly effective with a capacity for thousands of flies when full, close the cap and dispose of in normal waste.